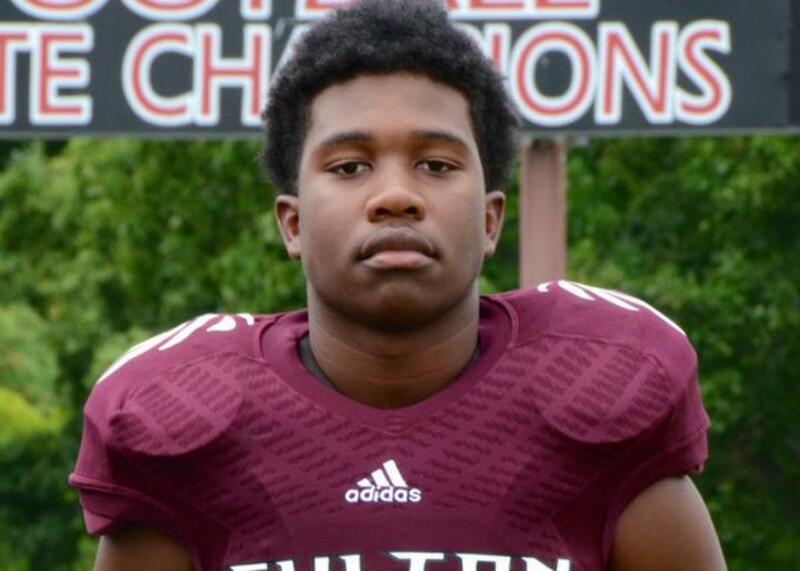 High school football player Zaevion Dobson killed shielding girls from shooting. Zaevion Dobson, 15, is seen wearing his football uniform in a picture released by Fulton High School Football on Dec. 18, 2015. Police say three men with suspected gang ties, started randomly shooting at a group of school kids who were celebrating the holidays on Thursday. That’s when Dobson jumped on top of three girls to protect them from the bullets. “If it wasn’t for Zaevion, if he would have just ran off the porch, we would have probably been shot,” said one girl who talked to WVLT. Dobson’s brother went to try and help him but quickly realized it was too late. “I found him on the porch and I picked him up and he was laying in my hands dead,” he told WATE. Dobson’s mother, Zenobia Dobson, now has to prepare her 15-year-old son’s funeral, set for the day after Christmas. “It was an honor for my son to protect another individual,” Zenobia Dobson told CBS News. A GoFundMe page has been set up to help cover funeral expenses and has already raised almost $50,000. This will prompt no real interest, or outrage, from all those fighting like hockey fighters to be the Republican Party’s Presidential nominee, because the shooting in Knoxville, Tenn. the other night had nothing to do with radical Islam. Try telling the family of Zaevion Dobson that terrorists with guns didn’t come to their neighborhood on Thursday night. Ask them what new laws and new world order about keeping our borders safe could have kept that kid safe from a gun and a bullet as he gave his life to save others. Then wait and see which of the tough guys running for President want to grab their own bullhorns in his memory. They all act as if terror in San Bernardino has become commonplace in America, as if what happened there happened a couple of weeks after Sept. 11, 2001. No. What is commonplace is what happened in Knoxville. We talk about keeping our borders safe and we couldn’t even keep the 2700 block of Badgett Drive in Knoxville on Thursday night.